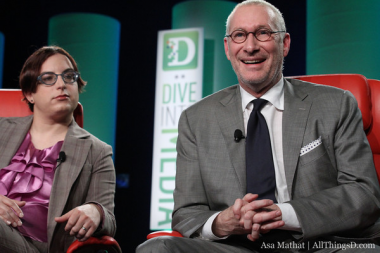 ESPN isn’t much for cannibalization, said its new president John Skipper, speaking today at D: Dive Into Media. That is, ESPN thinks it can preserve its traditional premium fees from paid TV distributors, while also making money from online offerings. ESPN viewership is 99 percent live, Skipper said, and it fights cord-cutters by not giving its content away for free. That’s in contrast to NBC, which will be livestreaming this weekend’s Super Bowl online. Further, Skipper says ESPN is well worth the money distributors pay (something that draws a lot of grumbles from others in the industry). It brings in strong local ad sales, and has pioneered 3-D and HD content on television. “The rates we get from distributors are directly correlated to the value we provide,” Skipper said.